Our good friends Paul and Liz visited, always a hoot. 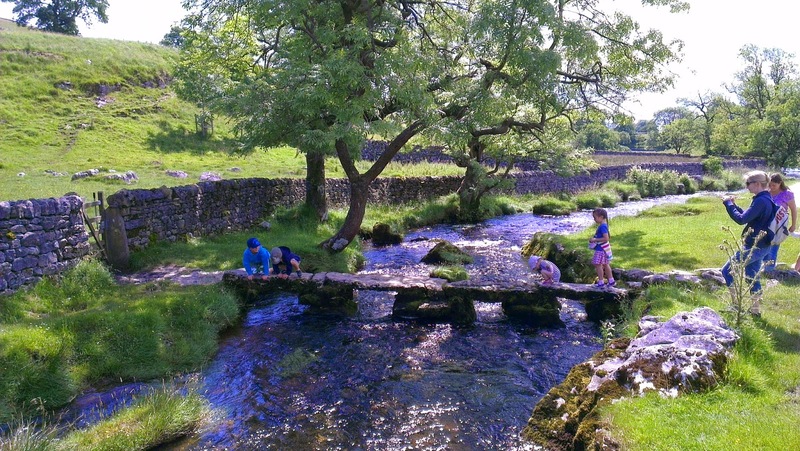 During after-dinner discussions Liz mentioned that she had always fancied visiting Malham cove, to which Craig replied it's only up the road, let's do it tomorrow! So, here are some shots of the expedition. 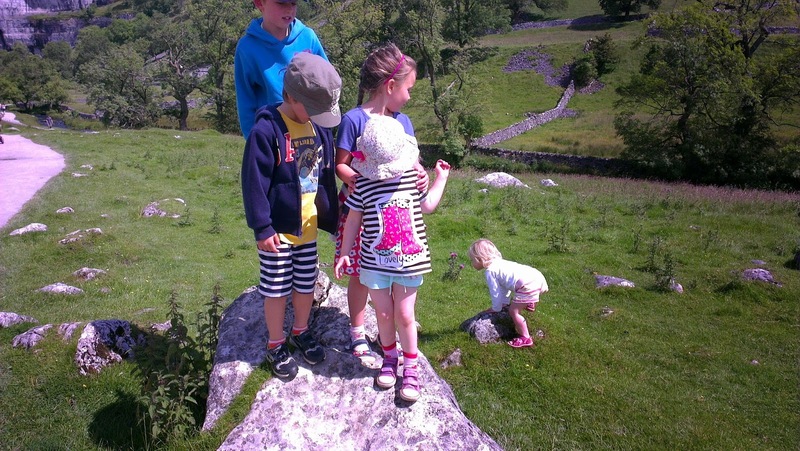 Paul and Liz have three children and exploring with them has taught us all we need to know about motivating kids on long walks, mostly centred around praise and a large sweetie bag. 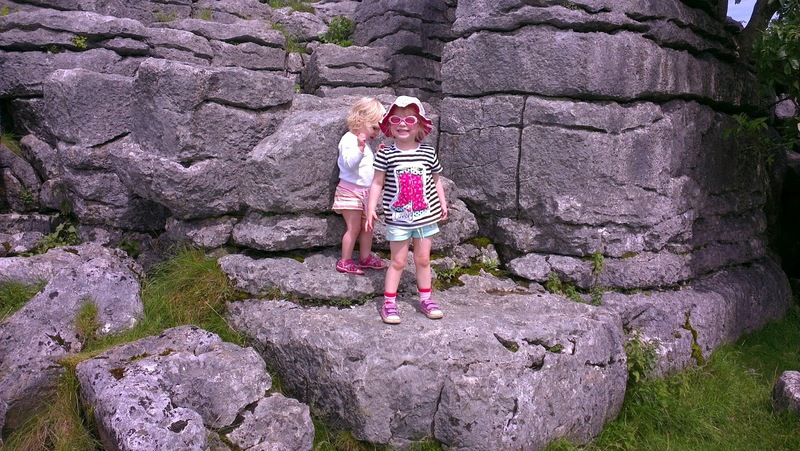 Freya and Edie required some carrying up to the 'Limestone Pavement' but it was well worth it. The route to the large rock face takes you along a valley floor, a stream runs through it with little bridges to cross for fun. It has always reminded me of a small scale Yosemite National Park. Moomin enjoyed the walk along the valley floor, particulalry going for a swim in the stream but was less happy 'up top'. She was terrified of the 'clints' and 'grykes' that she had to traverse on the top of the cliff. All in all, a great walk.